Want to see more of my images? Check out my page on Niume. Niume is a fun way for me to blog online. There is many unique blog posts to read and see. Looking for something new and different this Christmas? Check out my Van Isle Goddess. Com Website to see my new line of apparel featuring my photography! Leggings, Capris, Shorts, Kimonos, Scarves, Beanies, Body Contour Dresses, Flare Dresses, and add an accessory with my Island Goddess Jewelry! Lloyd Major & Judy Maxwell Original Oil Paintings of old growth forests, florals, prairies, to abstracts!Together they continue to paint the endless, always changing landscapes of this wonderful country. Elissa Anthony Is a West Coast artist. Inspired by her heritage, the Salish Sea & the Prairies, Elissa creates exquisite original paintings in oils. Mike Rebar Stone Sculptor. He sculpts local granite and marble he harvests form various sites on Vancouver and Quadra Islands His pieces range from 6 inches to 6 feet high and reflect a west coast theme. The body of his work embraces natural themes emulated in powerful freeform designs, birds, seals and Orcas. Roxy Hurtubise Stunning original photography! Photography is a true expression of my spirit and my surroundings. To capture the moment. Nature, plants, animals, sky & water are what I really love to photograph on a daily basis. Island Goddess Jewelry Beautiful natural seashell pendants and earrings from the beaches of Vancouver Island. Adorned with real freshwater pearls or sea glass. A perfect memento from the Island! Van Isle Goddess Apparel - leggings, capris, kimonos, scarves, & beanies! Crawford Studios �Paul Crawford is an artist who brings glass to life in exquisite custom etched and sandblasted glass art designs. �You can dramatically enhance your business or home d�cor by transforming front door entrances, stair railings, and indoor partitions into functional pieces of beautiful custom sandblasted glass art work. Free admission! See you there!! 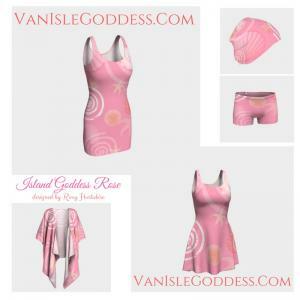 I am really excited to announce my new Van Isle Goddess apparel & accessories! The apparel line offers leggings, capris, kimono robes, draped robes, dresses, scarves and beanies. On this same website I have my Island Goddess Jewelry - beautiful natural seashell pendants and earrings. All seashells are from the beaches of Vancouver Island. We use real freshwater pearls and sea glass to adorn the shells. Very unique, Very cool! This will be our first show in our 2016 calendar of events. The West Coast Women`s Show on Vancouver Island was started seventeen years ago in Nanaimo as a lifestyle show showcasing products, services and information of interest to women. Guest speakers this year include Dr. Dr. John Yim, Naturopath and Karlene Karst from Sea-licious � more details to be announced. The 17th Annual Nanaimo West Coast Women`s Show is a great place to gather information so better choices can be made in all aspects of life. And of course, there will be lots of opportunities to buy fabulous gifts, jewelry, beauty products, fashion, and so much more. Join us March 5th and 6th, 2016 at the Beban Park Auditorium! Grand Prize Draw this year is for a 2 night stay at the Black Rock Resort in Ucluelet. See you there and stop by and Hello! I look forward to seeing you there. I will be a vendor at the What Women Want Show on Friday March 18, 2016. Tickets are going fast for this fabulous evening of fashion, fun, shopping and wine! The event will be held at the Qualicum Beach Civic Centre and doors open at 6:30 pm and the Fashion Show starts at 7:30 pm. There will be free safe rides home provided by Oceanside GM - Save the date and come out for a fabulous evening!! 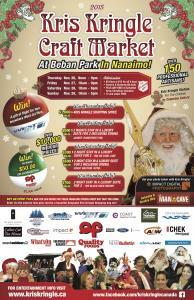 This will be my first year attending the Kris Kringle Christmas Market held on November 26 - 29 in Nanaimo, BC. If you are able to come please stop by my booth to say Hello! 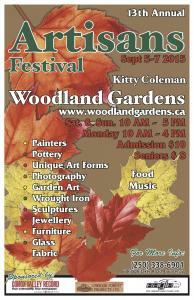 September 5,6 & 7, 2015 Kitty Coleman Art Festival is where I will be along with many other artists! Beautiful location - the perfect place to enjoy art. Also a great place to start your Christmas shopping early. 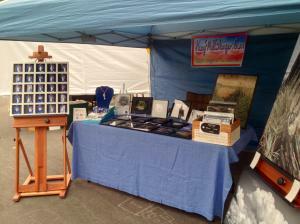 I will be at the ART MARKET at the Craig Museum, Parksville on Sundays 1pm - 5pm. Hope to see you there! Save 25% off with discount code RPDTFR! Applicable to everything on my website! Cases. Make the image your own with custom matting and framing! Guaranteed you will find something for everyone on your list! Happy Shopping!